The gluten free (GF) diet…At this point, you almost wonder who still even eats gluten?! But, is going gluten free right for you? An allergy to a food occurs when the immune system recognizes a food protein as “foreign” and “harmful” and mounts an attack. This attack initiates an inflammatory response mediated by IgE antibodies. 15 million Americans have some type of food allergy. Wheat is one of the top eight most common food allergens and is mostly found in children by age three. To diagnose a wheat allergy, an Allergist assess your medical history in conjunction with information gained from skin prick tests, IgE blood tests, and/or an elimination diet trial. If you test positive for wheat allergy, completely remove all traces of wheat from the diet. Accidental exposure to wheat may provoke symptoms like hives, itching, swelling, diarrhea, vomiting, or even anaphylaxis. If you have a wheat allergy, follow a strict wheat free diet, even avoiding potential cross contamination exposures. However, wheat free is not the same as a gluten free. Remember, gluten is found in wheat as well as rye and barley. Only remove rye and barley if those grains also test positive for allergy. Overall, avoid all wheat, including farro, spelt, kamut, bulgur, semolina, einkorn, and other wheat-ingredients. For a full list of wheat-ingredients, check out this article. Celiac disease, impacting one in 100 people worldwide, is a genetic autoimmune disease characterized by inflammation and damage to the small intestine post-ingestion of gluten. Eating gluten causes injury to the absorptive finger-like projections of the small intestine called microvilli. This damage results in inflammation and malabsorption. Without treatment, Celiac disease may cause nutrient deficiencies, weight loss, osteoporosis and other health effects may develop. Gastrointestinal symptoms are not always present! Genetics play a strong role in the development of Celiac disease. First degree relatives of someone with Celiac disease have a one in 10 risk of also developing the disease compared to one in 100 in the general population (2). Those with Celiac disease carry one or both of the HLA DQ2 and DQ8 genes. Your doctor may screen for Celiac disease with the tTG-IgA test while you are currently exposed to gluten. Genetic screen may also help with the screen process. Thereafter, your doctor may confirm the diagnosis with an intestinal biopsy. If confirmed positive for Celiac, you must strictly refrain from all traces of gluten for the rest of your life. Non-Celiac Gluten Sensitivity (NCGS), also referred to as Non-Celiac Wheat Sensitivity, presents similarly to Celiac disease. These individuals test negative for Celiac disease, but upon removal of gluten/wheat from the diet experience symptom remission. This condition often goes undiagnosed, but is thought to impact even more people than Celiac disease. NCGS is not clearly understood, but it appears the immune system and intestinal damage may be at play (3). Today, NCGS is a diagnosis of exclusion as there are no universally accepted diagnostic markers (4). There is much to learn about this condition. In a 2013 Gastroenterology paper, a team of researchers found those with NCGS benefit from the low FODMAP diet more so than the gluten free diet (5). It is not clear if strict gluten restriction is necessary. These individuals may tolerate gluten at a specific dose and in rotation with other types of whole grains. Having one autoimmune disease may increase your risk of having another autoimmune disease. Therefore, consider screening for Celiac disease if you have type 1 Diabetes, autoimmune thyroiditis and/or Crohn’s disease specifically. It is not clear if following a gluten free diet improves other autoimmune diseases if Celiac disease is negative (6). 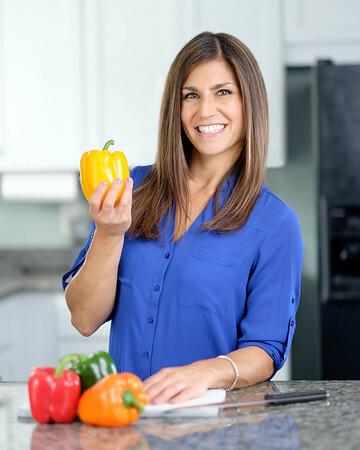 Some programs such as the Autoimmune-Paleo Diet (AIP) and Amy Myers claim a gluten free diet is necessary after diagnosis of any type of autoimmune disease. The rationale is primarily based on the link between gluten, leaky gut, and a heightened immune response initially proposed by Dr. Alessio Fasano. Trialing a gluten free diet after diagnosis of an autoimmune disease may be helpful in some circumstances, but not all. It is important to specifically discuss your case with a dietitian or healthcare professional to find out if this approach is right for you. What if I just want to try a gluten free diet? You do not need a formal diagnosis to remove gluten from your diet. Following a short-term (<8 weeks) elimination trial can provide you with invaluable information regarding your response to gluten. The goal is not to implement unnecessary food restrictions and create food fear. Instead, the goal is to monitor how your body feels while eating and avoiding gluten. If you plan to start a gluten free diet, I strongly encourage one important rule of thumb: do not simply swap out gluten-containing donuts, breads, bagels and sweets with gluten-free donuts, breads, bagels and sweets. These foods, whether they contain gluten or not, do not promote health. Rather, eat whole, minimally processed foods that are naturally gluten free. Try out a variety of gluten free whole grains like quinoa, amaranth, oats, rice, corn, millet, etc. A gluten free diet is only a lifelong commitment after Celiac disease diagnosis. A wheat free diet is necessary after diagnosis of a wheat allergy. A limited gluten diet may help those with NCGS, however clear evidence of this dietary intervention is lacking. There is much debate on the pros and cons of a gluten free diet. Books like Grain Brain and Wheat Belly tout the detrimental effects of consuming wheat and gluten. Conversely, Eat Wheat promotes the health benefits of consuming gluten grains and wheat. This heated debate will likely continue for years to come. If you medically need to avoid wheat or gluten, then avoid it. If you feel better when avoiding or limiting wheat or gluten, then avoid or limit it. If you feel the same “on” or “off” a gluten free diet, then it likely is not the culprit of your health concerns. Consume gluten-containing grains as part of a balanced, varied, whole foods diet. To learn more or talk specifically about your case, contact me today. 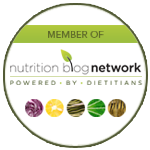 I’ll help you find the dietary approach that best suits you.